The interest of pharmaceutical companies in expanding business across CIS region has been constantly growing. For the same reason, Biomapas has expanded presence and now covers the whole CIS region, providing core services: clinical research, regulatory affairs, pharmacovigilance. 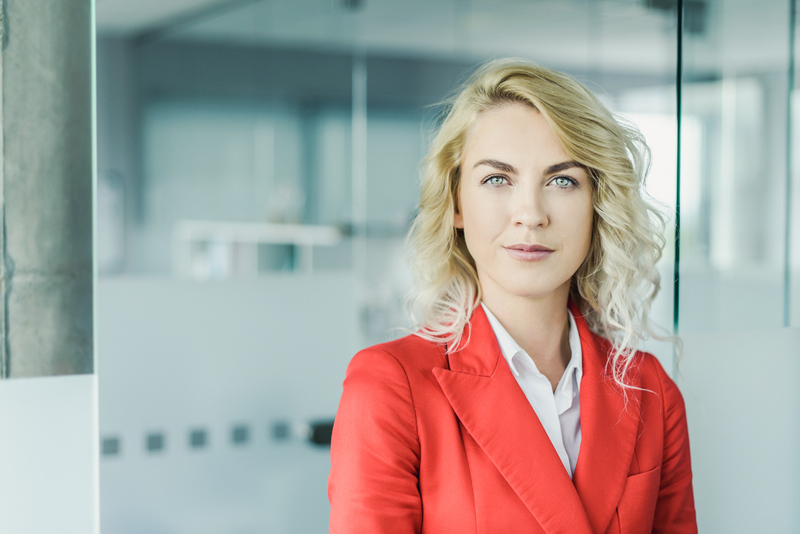 Associate Director Business Development Egle Pavyde, shares some thoughts about region peculiarities, recent legislation changes and Biomapas experience providing RA and PV services in CIS. Which Eurasian countries belongs to the Commonwealth of Independent States region? E.P. CIS, also called the Russian Commonwealth or former CIS region is a confederation of 9 member-states and 2 associate members. CIS was formed during the breakdown of the Soviet Union and included most of former Soviet Republics. The members of CIS are Armenia, Azerbaijan, Belarus, Kazakhstan, Kyrgyzstan, Moldova, Russia, Tajikistan, Uzbekistan and former member Georgia, which withdrew membership in 2008. Two associate member states are Turkmenistan and Ukraine, which did not ratify the CIS charter. Mongolia is sometimes added to the region, though it has no direct connection to the CIS (Figure 1). What are the main differences in medicinal product regulations between European Union and CIS region? E.P. In the European Union, we have the same general rules or regulations applying for all member states, with some national differences. We can submit Marketing Authorization Applications via Centralised, Decentralised or Mutual Recognition procedures and obtain MAs in all or at least several countries at once. In the CIS region, until the new regulations came into force in 2017, there was no common legislation. This means that if a pharmaceutical company wanted to be present in the region, they had to apply via National procedure in each country. Also, post-authorization activities differ country by country. Different variation types or no possibility to group variations would be good examples of differences between EU and some of the CIS markets. If talking about differences in Pharmacovigilance, I would say it was less regulated until this year in most CIS markets. Therefore, the safety related activities for medicinal products were more or less initiated by pharmaceutical companies themselves, applying the same PV standards in all countries, in which they operate. With the exception of several countries, no local Qualified Person for Pharmacovigilance was required, as well as no local literature screening by national regulations. PSUR submission periodicity still varies between the countries, and it may differ from the EU timelines for specific products. To date, in most of the CIS markets, individual unlisted serious adverse reaction cases received from any other foreign country in which product is marketed, must be submitted to local competent authorities. Could you tell a bit more about the new legislation that came into force in 2017? What are the main changes and issues that may arise to the Marketing Authorization Holders? E.P. First of all, I have to mention that this new legislation does not apply to the whole region. In 2014, the Eurasian Economic Union (EAEU) was established, which in a way seems similar to the EU. The current members of EAEU include Armenia, Belarus, Kazakhstan, Kyrgyzstan and Russia. EAEU has aligned regulations related to medicinal products, their authorization, post-authorization activities and pharmacovigilance. One of the most significant changes is the implementation of medicinal product marketing authorization procedure, which allows access to MA in all EAEU member states via one application. Such procedure is somewhat similar to the Decentralised procedure in EU. Also, such dossier parts as patient information leaflet readability user testing report (Module 1.3.4 in CTD format) and some others are now required in EAEU. Another significant change in EAEU markets is the implementations of Good Pharmacovigilance Practice, which is almost the same as GVP for EU. Qualified Person for Pharmacovigilance is now obligatory and must be a permanent resident in one of the member states. Local QPPVs can be required by national competent authorities in the rest of the states. When and why has Biomapas decided to expand their operations in this region? E.P. First of all, I have to mention that we have more than a decade of experience in the region, especially in Belarus, Ukraine, Russia and Georgia. Everything started from clinical operations. Our first studies conducted in the region started in 2003 and since then the number of projects have been growing constantly. For this reason, we established offices in Russia (Moscow) and Georgia (Tbilisi) in 2014 as well as in Ukraine (Kiev) in 2015. These offices at first were mainly dedicated to clinical operations. Around the same time, we started to receive requests for proposals for Regulatory Affairs and Pharmacovigilance services in CIS markets. Therefore, we explored the region in detail and decided to follow our client needs. You have mentioned, that Biomapas has faced a growing demand of regulatory affairs and pharmacovigilance services in CIS. What could be the main reason for pharmaceutical companies to be interested in these markets? E.P. The first obvious reason is for sure the size of the region. 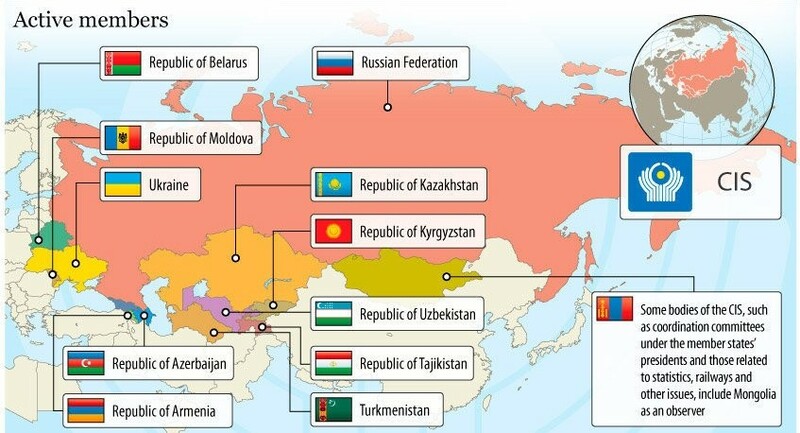 CIS together with Georgia and Mongolia covers 13countries with almost 290 million citizens in total. The extent of the region is a significant aspect for pharmaceutical companies to consider business development and expansion in these markets. 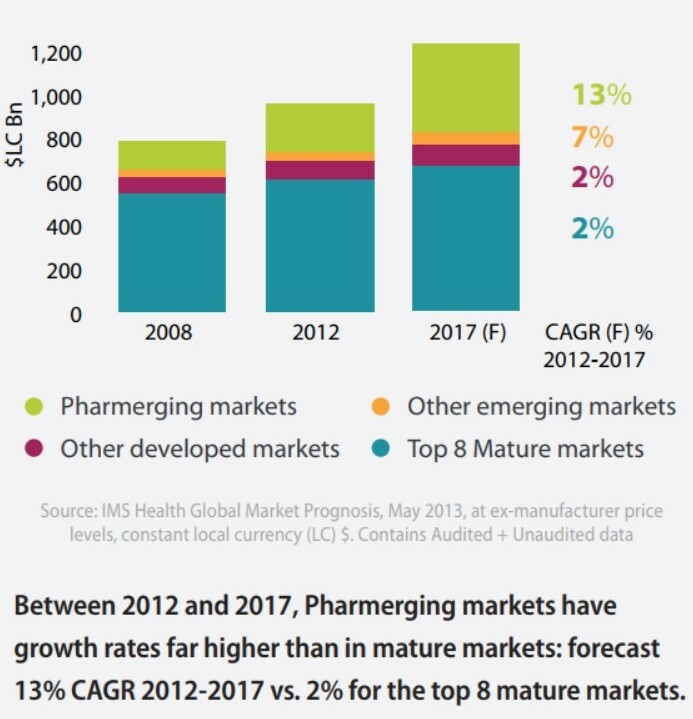 According to an IMS Health report, during the period of 2012-2017 pharmaceutical market growth in emerging markets accounted for 13% (Figure 2). In particular, CARG in CIS region accounted for over 10%. Moreover, the CIS region is quite specific in terms of healthcare systems, medicinal product reimbursement, business opportunities for pharma in specific therapeutic areas (e.g. infectious diseases), as well as some trends in the region (e.g. aesthetic medicine). Looking from a CRO perspective, we see two main reasons for growing demand of our services in CIS. The first one we faced was insufficient quality of services, provided by some local companies operating in the region. This also includes language barrier and related communication issues. We had one unbelievable case with a client who was requesting our RA services in CIS. The client reported, that the previous company they were cooperating with managed to translate all patient information leaflets using Google Translate, so you can only image the issues they had afterwards. The second important reason for growing demand of RA and PV services in CIS is the new legislation that came into force in a number of countries. These changes expanded responsibilities of Marketing Authorization Holders and requires more local tasks, especially local pharmacovigilance activities. Could you briefly describe Biomapas experience in terms of regulatory affairs and pharmacovigilance in the region? What were the main challenges? E.P. Currently, we have 4 ongoing RA projects, and 10 ongoing PV projects. Most of them cover either the whole region or at least 8-10 countries. I have to honestly say that yes, the start was quite challenging, and yes, the region has its own specifics and peculiarities. I think as in any new activities or projects, it may seem difficult at the beginning, but as you gain the experience, it starts to go smoothly. First of all, finding reliable and experienced Local Regulatory and Local Safety Officers can be quite challenging. In our case, long-standing contacts in the region helped a lot. Another challenge that we have faced was getting back to the “paper era”. Only a few authorities in the region had e-systems, everything had to be submitted in paper, with a number of copies, and many documents had to be annotated. What is also important to mention is the language barrier. Even in competent authorities, only a very small number of experts speaks English. However, most of them speak Russian due to historic/geographic reasons. We have solved this by hiring 2 experienced RA/PV Managers. They are responsible for the regional projects and speak both English and Russian fluently. One of them is based in Belarus, another one in Azerbaijan. They know the region and cultural specifics, which is also very important in order to create and maintain good communication with both, competent authorities as well as our Local Regulatory and Local Safety Officers. What would you advise to pharmaceutical companies, who are interested in marketing their products in the CIS countries? E.P. Firstly, from our experience, I would advise to choose European partners with operations and presence in CIS, rather than a local RA/PV service provider. This is mainly related to the quality of service and overall understanding of good business and communication practices. Secondly, I would strongly recommend to audit the company you choose at the very beginning of negotiations. It may require some additional costs, but at least you will be sure that the selected partner applies highest operational standards and has a Quality Management System in place. At the beginning of our RA and PV services expansion in the region we were considering to partner with one local company based in CIS, which seemed quite promising. However, after the audit results, we decided to change our plans. The findings were more than critical, I would say. The company did not understand even the principles of QMS and did not want or try to cooperate with the auditor. Last but not least, do not trust your distributor RA and PV activities until you have proof of performance. Most of them are good in distribution and marketing of products, but do not prioritize RA and PV. Some distributors do not pay significant attention to the importance of post-authorization activities and regulatory requirements. We had a case when RA and PV activities were assigned to us by the client due to significant submission delays of renewals and PSURs, which was the responsibility of the distributor. To summarize, pick your partners carefully and audit them in order to sleep well! Thank you for a very open and interesting conversation!